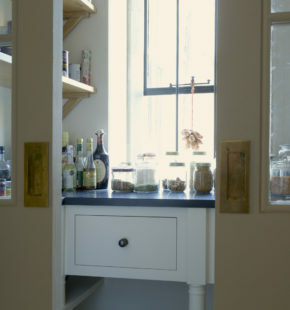 The pantry in this Jacobean country manor house is situated in a narrow corridor between the kitchen and the boot room. 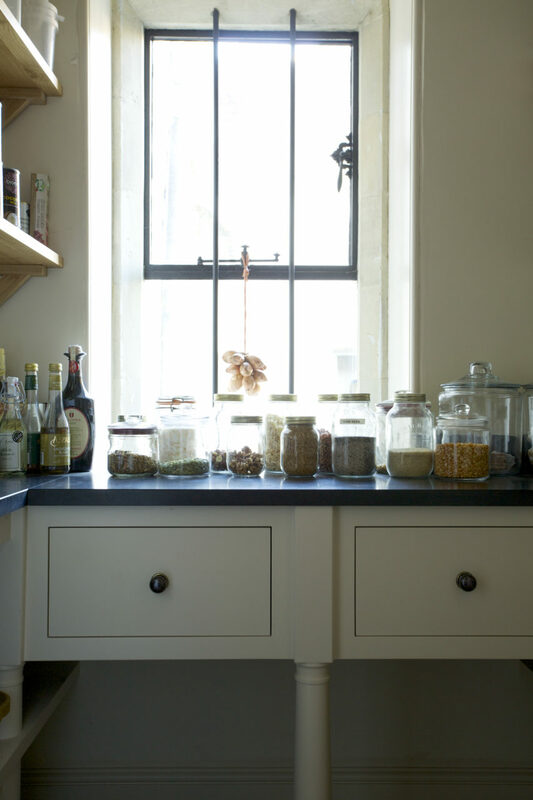 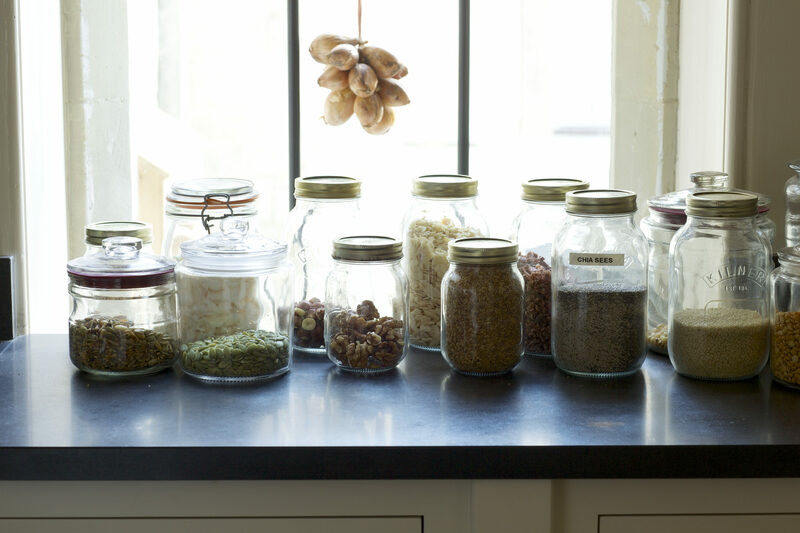 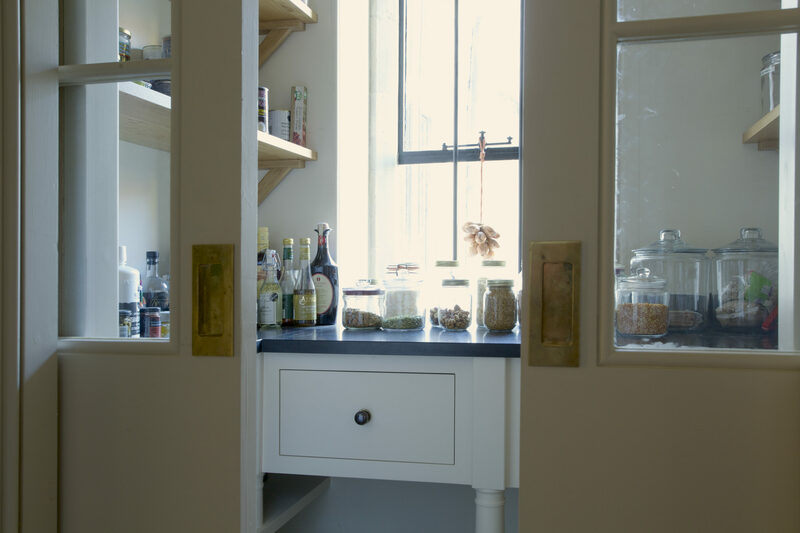 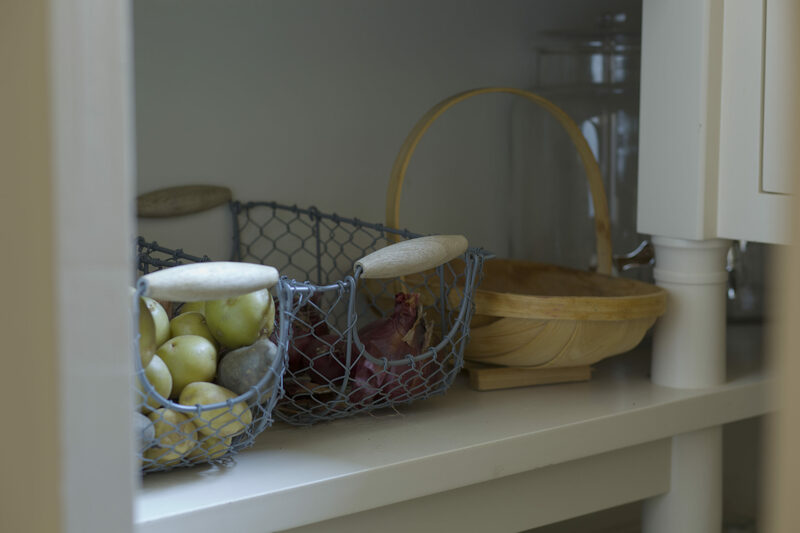 Instead of putting in a solid wood door which would have taken away the light from the courtyard window, Nick designed this pantry to have glass paneled sliding doors, which keep out the cold but let in the light. 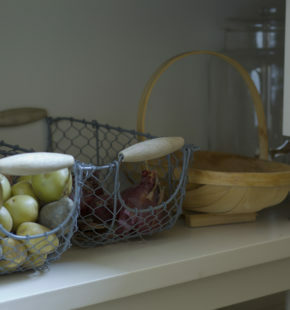 It is cool enough in here to keep hams on the bone and root vegetables in baskets. 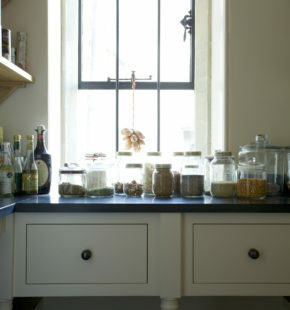 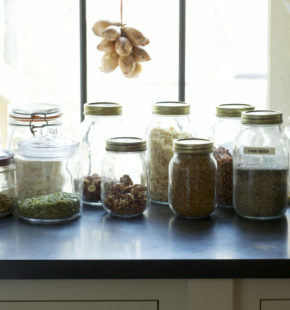 The lovely oak shelves are deep enough to hold a good quantity of tinned and dried essentials.